Daniel J. Fox was born in Stamford, Connecticut on September 23, 1976. Attorney Fox received a Bachelors of Arts degree from Loyola University Maryland in 1999. He received his law degree from the New England School of Law in 2004 and is admitted to practice in the state of Connecticut and the U.S. District Courts of Connecticut. 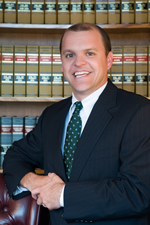 Attorney Fox was a member of the New England Law Review at the New England School of Law from 2002 through 2004. He served as Executive Articles Editor of the New England Law Review from 2003 until 2004. Following his graduation from Loyola University, Attorney Fox was a faculty member at Loyola Blakefield, a school for grades 6 through 12, in Towson, Maryland. From 2002 through 2004 Attorney Fox was a legislative intern with the Massachusetts Bar Association. In 2003, he served as an assistant at Harvard University, John F. Kennedy School of Government’s Belfer Center for Science and International Affairs in Cambridge, Massachusetts. Attorney Fox is a member of the Stamford Juvenile Review Board serving on the Board since 2007. He is a member of both the Fairfield County Bar Association (serving as a member of the Board of Directors since 2009) and the Fairfield County Bar Foundation (serving as a member of the Board of Directors since 2008). Attorney Fox is also a member of the Connecticut Bar Association and served on the Connecticut Commission on Compensation of Elected State Officials and Judges, (from 2009 through 2011). Attorney Fox was elected to the Connecticut General Assembly in April 2011 to serve as a member of the State House of Representatives for Connecticut’s 148th District. He is Chairman of the Government Administration & Elections Committee as well as serving as a member of the Judiciary and General Law Committees. This district includes the Cove, Glenbrook and East Side neighborhoods of Stamford. Mr. Fox’s areas of practice include Real Estate, Municipal Law, Commercial Law, and Probate.